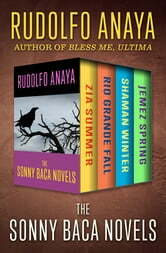 Four suspenseful southwestern mystery novels featuring a Chicano PI in New Mexico, by the “extraordinary” author of Bless Me, Ultima (Los Angeles Times Book Review). 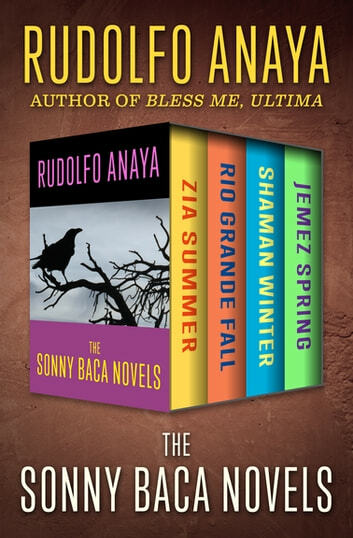 These four novels starring detective Sonny Baca are set against the lush terrain of the American Southwest, blending its Spanish, Mexican, and Native American cultures. Zia Summer: Sonny Baca’s cousin Gloria is brutally slain, her body found drained of blood with a Zia sun sign—the symbol on the New Mexican flag—carved on her stomach. His quest to find her killer leads Baca across New Mexico’s diverse South Valley to an environmental compound and a terrifying brujo. Rio Grande Fall: A woman plummets to her death from a hot air balloon during Albuquerque’s famous Balloon Fiesta—and Baca recognizes it as no accident. Shaman Winter: Baca, confined to a wheelchair after a violent encounter, is haunted by chilling dreams, but has no other choice than to go to work when the Santa Fe mayor’s teenage daughter disappears and the trail leads to a charismatic and dangerous shaman. Jemez Spring: A high-profile murder ignites a hotbed of political treachery and terrorist threats that take Baca to Los Alamos, pitting him against a formidable foe and a nuclear bomb. Unrelentingly suspenseful, with vivid details of the physical and spiritual landscape of northern New Mexico, these mysteries are perfect for fans of Margaret Coel or James D. Doss.